A subtle change has taken place in Hawthorn and Hawthorn East, a stone’s throw away from the sacred cow that is Camberwell. While all three suburbs fall within the City of Boroondara, Camberwell remains staunch in its opposition to any development – with the likes of Geoffrey Rush and Barry Humphries leading the charge. In recent years, both Hawthorn and Hawthorn East have headed down a different path. Apartment developments are now rapidly gaining a foothold. 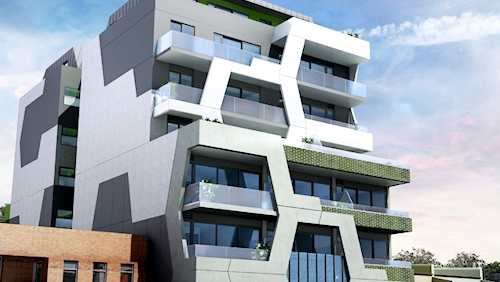 Five large apartment developments are currently under construction in Hawthorn: Atria Apartments, Emblem Hawthorn, Riva Hawthorn, The Collective and 22 Wattle Road. 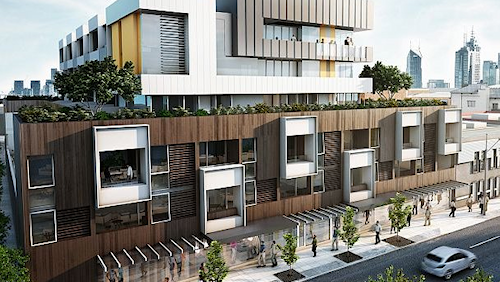 Together, these five projects will deliver an impressive 491 apartments into an area well serviced by public transport links, retail and commercial spaces, Swinburne University and a 119 room hotel run by Asian Pacific Group. Clearly the infrastructure exists for substantial apartment development, and developers have come knocking. 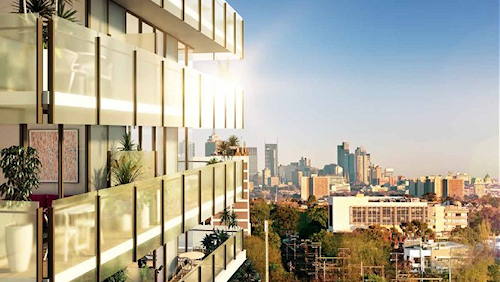 Urban Melbourne took a look at several upcoming developments for the area. Hawthorn Hill Apartments is Equiset’s latest project. The nine level building, which was designed by Bates Smart, will carry 64 apartments and 62 car parking spaces. It will be a high-end apartment building with expansive views due to its heightened location. A public launch is pending. One of a growing throng of apartment projects within close proximity to Auburn Station, My Place Hawthorn won approval via VCAT last year. A fully functional display suite is onsite, yet the project has not launched publicly. 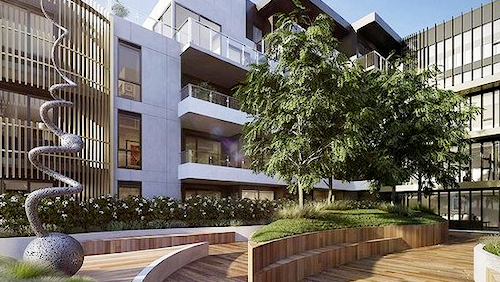 The seven level L-shaped project, which also fronts Lilydale Grove, has been designed by Carabott Holt Turcinov and will hold 151 apartments according to its planning application. The building will include an expansive courtyard designed by Jack Merlo. Alta seemingly faltered following a sales campaign held early last year. Quite honestly, Urban Melbourne doesn’t know too much about this project, but a number of online sources say the project will be launching soon. Time will tell. Designed by Crosier Scott, the project comprises 41 apartments in a project fitting in both scale and design quality. A whopping 70 per cent of these apartments sold at launch several weekends ago. Not too shabby at all for the team from Kokoda Property Group, who conceived Leo along with Artisan Architects. The project will take its place on the ever popular Camberwell Road, where projects up to six levels are/will be the norm. There are 88 apartments in total, which means at least 26 are still on the market. Snap to it! Syracuse Hawthorn has sold 60 per cent of its apartments, according to the project’s website. Slowly but surely, the little apartment project that could has moved the majority of its 27 apartments on offer. 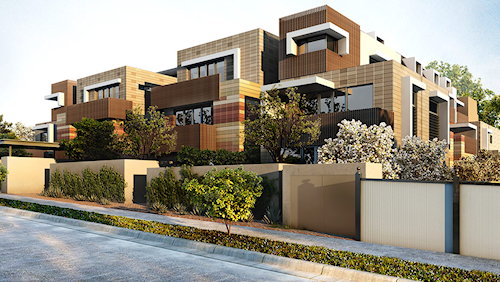 Apartments are still available, but this project, which is located in a quiet pocket off Burwood Road, will move to construction quite soon. 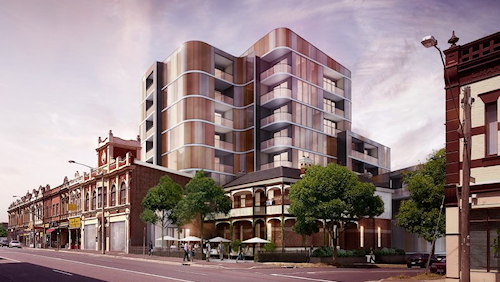 Brilliant Hawthorn contains 66 apartments up for grabs. A product of Topgan Group and Interlandi Mantesso Architects, the project has gone through the standard channels for construction tender with Hacer, Becon, Construction Engineering, Buildcorp Commercial and Harris HMC jostling to deliver the apartment project. A mix of one and two bedroom apartments are available with an overall sales worth of $45 million plus. Whilst the above projects are set to add approximately 640 apartments to the area’s stock, they also ensure that Hawthorn and Hawthorn East will be home to a number of tower cranes for the foreseeable future. Coupled with the cluster of projects already under construction, over 1000 new apartments will be added to the area in the short and medium term. A broad choice of designs, layouts and amenity will be available.